The Black Saints and Holy Ones page is official up and running. Above is a screen shot of it. 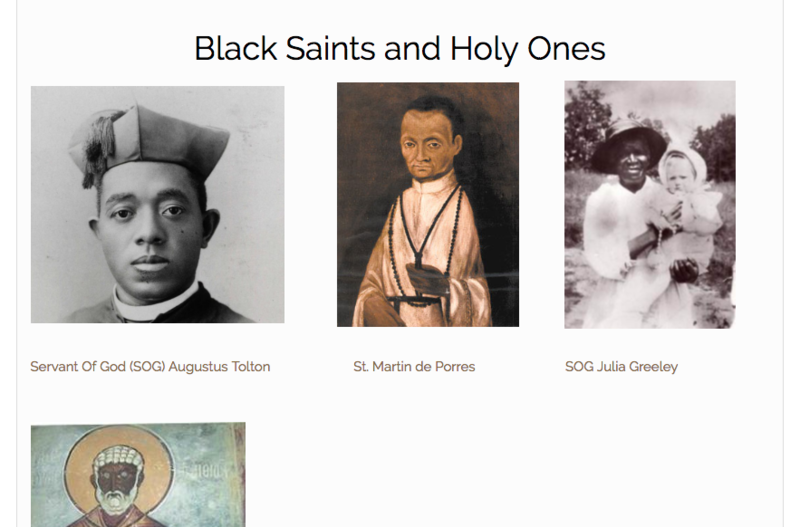 This is a page that I will use to provide a catalogue of Catholic saints or future saints of African descent who have been a excellent example of Black holiness for the Church. Included will be a picture and link to further information about them along with some of my personal reflections on their lives and good examples of the Christian life. I will periodically add to this page with more Black saints/holy ones as I discuss them in the future on the blog. I pray that these works of mine might be an instrument in God’s hands to lead both Catholics and non-Catholics into the deep and varied life of the Church so that they might ultimately find a place as members of Christ’s one Mystical Body.